It is a great time to be alive because today we're talking about Subject-verb Agreement. Now, subjects and verbs have to agree which is just a fancy way of saying that they have to sound right together and you're probably used to this in its most basic form for instance subject verb agreement explains why you say; by noon I am always starving but you say by noon Grace is always starving. Subject-verb agreement is the idea that the subject determines how the verb sounds or conjugates. Now of course it's going to be much trickier than I am and Grace is on the SAT and you'll have to watch out for subject-verb agreement on two major question types; identifying errors and improving sentences, now like I said it gets much trickier so let's go into depth now. Now just a second ago, I gave you an easy example of subject-verb agreement, I am and also Grace is. Now the reason it's so easy is that the subject and the verb are next to each other; I is next to am, Grace is next to is. Now the way the SAT makes these subject-verb agreement problems tougher is by moving the subject and the verb farther apart and they do it in two ways right here. So in order to see whether the subject and the verb on the SAT sound right together you're going to have to ignore these two things; these things that are keeping the subject and the verb apart. So they are; extra information between commas and prepositional phrases and each of these is pretty detailed so we're going to take time to go in depth with each of them starting with extra information between commas. First of all what does this mean, extra information between commas? You know you're dealing with extra information between commas if you could use parenthesis or long dashes in place of the pair of commas, let me show you what that looks like. 'Sally Ride, the first American woman in space made history in 1983.' Now 'the first American woman in space' is going to be "extra information" between commas because I could also write it with parenthesis and I could also write it with long dashes. Now this probably won't appeal on the SAT but they're just ways of thinking about how this is extra information being thrown your way. Now because it's extra information, you're going to be able to ignore it when looking for subject-verb agreement, let's look at an example here. 'My father, who has sung backup for dozens of solo artists and bands, are truly talented.' So we have extra information between commas here and I know that because I could ignore the commas and put this between parenthesis like, my father who has sung backup for solo artists and bands are truly talented or I could also put them between long dashes. Now I'm not suggesting that you actually need to go around drawing long dashes and parenthesis on the SAT, I'm just saying it's a way of checking if this is extra information. So if you know it's extra information by applying this little test, you can ignore it for the purposes of subject-verb agreement, let me show you. What's left is a nice short sentence where the subject and the verb are adjacent again so we're back to that situation like I am or Grace is we have, My father are truly talented. Now you probably already knew the sentence was wrong but now it's even more obvious; my father are should definitely be my father is, so sure enough here's the final answer. My father, who has sung backup for dozens of solo artists and bands, is truly talented. Let's look at a couple more examples and then get a little more subtle. 'The warnings, which were outlined in the government's special report, has to be seriously considered. First of all let's check that we have extra information between commas; could we for instance put this in parenthesis, let's see if that makes sense. The warnings, which were outlined in the government's secret report or rather special report, has to be seriously considered; that sounds like it makes sense and let's strike it through. What we have left is; The warnings has to be seriously considered. I hope it's a little more obvious now that the verb is conjugated wrong; warnings has isn't right but warnings have is, so the right answer should have the verb have not the verb has and there it is. Third example; According to friends, Physicist Richard P. Feynman, who enjoyed lock picking, Mayan hieroglyphs, and many other unusual topics, were quite entertaining. Now this one's a little more subtle but we still have extra information between commas right here. You could omit this and you'd still have a sentence, let's see what that looks like; According to friends, Physicist Richard P. Feynman, were quite entertaining. That just sounds even more obviously wrong than it did before when we had all the information in the middle and as you might imagine it should be was. Let's look at the final answer, sure enough the word was is there. Alright, the second thing we need to talk about after talking about extra information between commas is prepositions. We're also going to need to ignore these when we're looking for subject-verb agreement 'cause as I said earlier they keep the subject and the verb far apart and they get hard to check if they agree with each other. So first of all prepositions are words that express positions or relationships; that's a little abstract so let me give you some examples. Here are a ton of prepositions and I don't expect you to memorize them off here but two things; number one you can find a list in the bonus materials and get comfortable that way, number two you can think of them as Doghouse words. So they're words that you can use to show your relationship to a Doghouse for instance you can be in the doghouse, you can be up against the Doghouse, you can be over the doghouse, you can be of the doghouse although it's kind of a strange expression, so you can think of prepositions as doghouse words. Now how do we use that with subject-verb agreement? Well there's yet another step, we actually need to know what a prepositional phrase is so this is getting pretty involved so let's have a look. A prepositional phrase is a preposition plus the associated words, pretty abstract so let's look at some concrete examples. Examples would be something like; of gold where the preposition is of and you say what is it of? It's of gold or in the doghouse again the preposition is in and you say in what? It's in the doghouse, from Columbia where from is the preposition and Columbia is where she's from and so on; by the grocery store, on the way home and with red, white and blue sprinkles. So what do we do with this? We have to ignore the prepositional phrases so first we have to identify the prepositional phrases, where is the preposition here? If you're not yet comfortable you should definitely study the bonus materials and come back and re-watch this but here we go. The preposition is of and the question is of what? Of his eyes, that's the prepositional phrase so we're going to cross this out for a moment because it's a prepositional phrase and try to do subject-verb agreement between what's left. We have, The color are blue; I hope you can tell that sounds wrong and it is, it should be the color is blue. Next example; The writing in most history textbooks are quite boring. So we look for the prepositional phrase, the preposition here is in, we say in what? In most history textbooks that's the prepositional phrase. So we cross it out and we read the remaining sentence which is, the writing are quite boring. Hopefully you can hear the subject-verb agreement is wrong and are should actually be is, that would be the right answer. Let's look at another example; Thanks to twice-weekly music lessons, the quality of Jessica's flute performances have been improving dramatically. This one may be a little trickier, the prepositional phrase is 'of Jessica's flute performances' 'cause of is a preposition so we ignore that and we have 'the quality have' which is wrong; should be the quality has. It's a little tricky because the subject comes here rather than at the very beginning of the sentence which might be a little more familiar so let's put it all together. We started by talking about how we should ignore extra information between commas which is extra information that you could put between parenthesis or long dashes and then most recently we said we should also ignore prepositional phrases and they'll start with prepositions which are doghouse words like of or in or at or by and then they have other words associated with them. So both these rules are important for subject-verb agreement and you should apply them in order because they may both apply to the same problem. Now, let's look at some examples that pull the two rules together. Step one we check for extra information between commas, I hope you can see that it's right here so we're going to ignore it. Step two check for prepositional phrases and get rid of them if they apply. Here the preposition is for and the prepositional phrase is for public education; we read what's left and see how it sounds, 'funds is hard to come by.' Pretty clearly wrong, it should be funds are hard to come by and let's look at another example. So here we again apply the two rules in order; first rule, ignore the extra information between commas. Hopefully it's clear that that would be 'universally unpopular among my siblings.' Next rule we ignore prepositional phrases, here that's 'of Brussels sprouts' because of is the preposition and of Brussels sprouts is the whole prepositional phrase and we read what's left and see how it sounds. 'The taste cause coughing fits and endless complaints' not quite right, the taste causes so we just stick an S right there. Now that we've gone through the two basic rules for subject-verb agreement and seen lots of examples, let's tie it together with a practice SAT problem. So here we are with an SAT problem you might see on the improving sentences section of the test and we can tell right away that it's testing subject-verb agreement because the verb 'are, are, is, is, is' changes from choice to choice and when there are changes like that you know they're probably testing something there and sure enough they are. So let's have a look, we'll start by reading the original and then go through the choices in turn. 'The reputation of so-called "blood diamonds," frequently imported from war-torn African countries, are tarnished in the eyes of many consumers. Now, since we're on the lookout for subject-verb agreement we're going to apply the rules; first of all ignoring extra information between commas and second of all ignoring prepositional phrases and we do that in order so, stuff between commas, get's crossed out right here. Alright, now we need to look for our prepositional phrase, hopefully you can recognize the preposition 'of' right away so we'll get rid of this prepositional phrase, 'of so-called blood diamonds' and we read what's left. The reputation are tarnished in the eyes of many consumers, so you can tell right away that are is the wrong verb and we're going to need the verb is in whatever answer choice we ultimately choose. So this is lucky, we can run right through the answer choices and get rid of anything that uses the verb are. So this one uses are because A is always a repeat of the initial question. Let's see, B uses are, we can get rid of that too, C uses is so it's still in contention, D uses is and E uses is so let's have another look at these and see what else differentiates them besides the use of is and are. C, which war-torn African countries frequently import; okay that changed the meaning of the sentence. Sometimes on the SAT an answer choice will not have the same meaning as the original. In the original, the blood diamonds were being imported from Africa, in this example African countries are importing them so the direction is wrong, this answer choice is out. D, which are frequently imported from war-torn African countries is tarnished by; that sounds pretty good so let's see what's going on with E. Frequently imported from war-torn African countries is tarnished in; that also sounds pretty good but you'll notice there's a difference between by here and in here. So whenever you see a difference like that you should look critically and decide what's going on and which one's right and the answer is that you can say, 'In the eyes of many consumers, like E says, but you can't say 'by the eyes of many consumers'. Like you can say you're beautiful in my eyes but you can't say you're beautiful by my eyes in the same way E is right and D is wrong, so we have our answer, it's E and with that SAT problem out of the way, let's sum it up. So that was a lot of information to absorb in a short period of time so let's just make sure we've got it all. First of all, when you're looking for subject-verb agreement; it will be great if the subject and the verb like I am or Grace is were right next to each other but on the SAT they're often really far apart and the SAT people do that in two basic ways, by inserting extra information between commas and prepositional phrases. So you have to reverse the process and ignore those two ingredients in order to check and see if the subject and the verb are actually a good match. So you ignore extra information between commas and that's extra information that you could put between parenthesis or long dashes and again you ignore prepositional phrases and to be clear, that's a preposition plus associated words like in my heart, on my mind, from Texas and so on and prepositions are doghouse words so on my mind, on the doghouse, doghouse words. 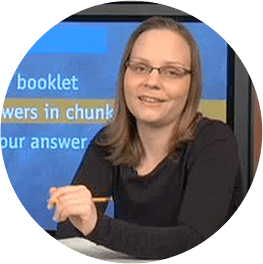 Now if you are all unclear on this, you definitely want to put time into practicing because this is one of the most common SAT writing skills tested. 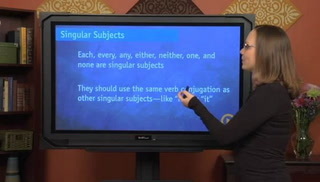 It is so important that you should consider going back and watching this episode again until you've absorbed it and if you're quite fluent with prepositions and prepositional phrases, check out the bonus materials associated with that so you can get more comfortable and really succeed with this grammatical technique and that in a nut-shell is subject-verb agreement.